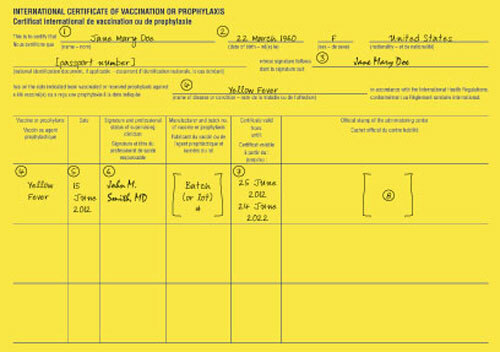 A Yellow Fever vaccination certificate is required on arrival from all travellers 9 months of age and older. 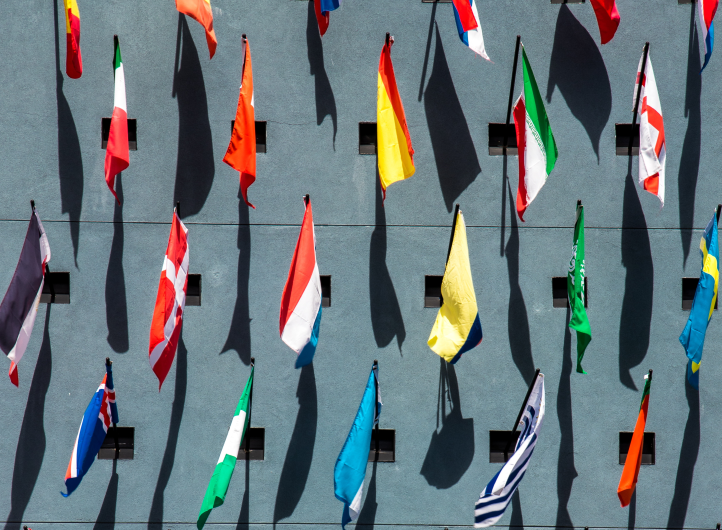 Countries may change their vaccination requirements without notice and in some instances border agents use their discretion to deny entry despite the officially stated requirements. 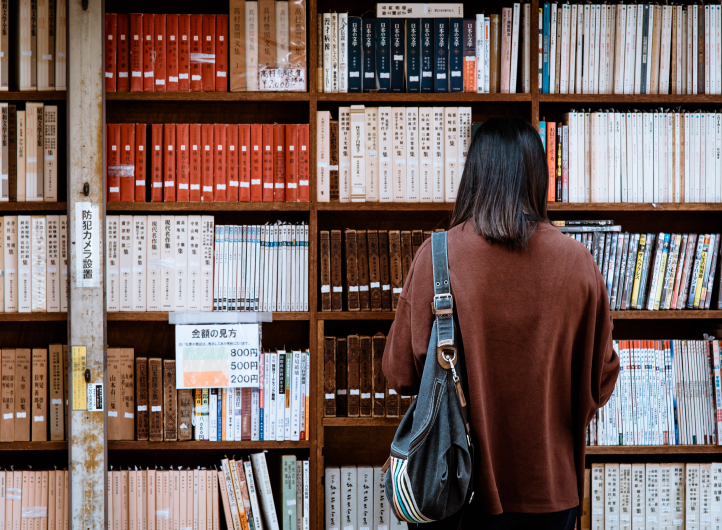 If there is risk of Yellow Fever at your destination, whether vaccination is required for entry or not, be prepared to show a certificate of vaccination or a waiver stating the medical reasons for not being vaccinated. 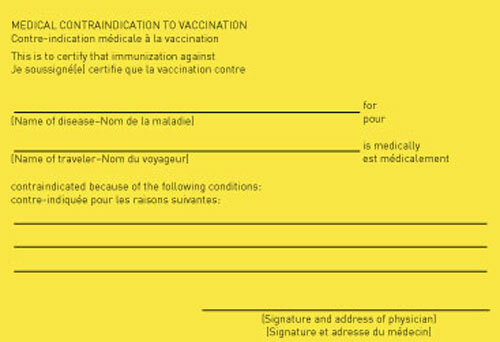 A Yellow Fever certificate is valid 10 days after vaccination. Existing and new Yellow Fever vaccination certificates are now valid for life. 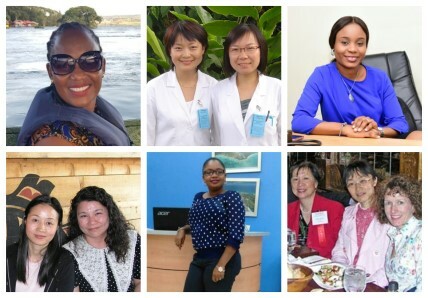 The World Health Organization announced that as of 11 July 2016, countries can no longer require travellers to show proof of re-vaccination or a booster dose as a condition of entry. Travellers should note that this new regulation may not be honoured by all border authorities during the transition phase. Vaccination waiver: A vaccination waiver can be issued by your medical practitioner if the Yellow Fever vaccine is contraindicated for medical reasons. Be aware that problems may arise when crossing borders and the vaccination waiver may not be honoured. Take meticulous anti-mosquito bite measures during the daytime in Yellow Fever risk areas. More details on insect bite prevention.